People usually visit Sai Kung to get away from the city (go on hikes, junk trips, beaches etc.) or often also for the seafood restaurants its famous for. The mainstream seafood restaurants have disappointingly lost their quality with their gain in popularity (why does that always happen anyway?). I have recommended Chuen Kee before, although for their dim sum specifically, while their seafood is quite good too. But Sing Kee is definitely the best seafood restaurant in Sai Kung, having recently been awarded a well deserved one Michelin star. Most of the dishes here are made very well – except the only-mediocre deep fried salt & pepper squid (椒鹽鮮魷). But the lobster is definitely the reason I keep coming back and of course, the reason I’m writing this post! You can choose the size of the lobster you want and then they’ll make it into sashimi. 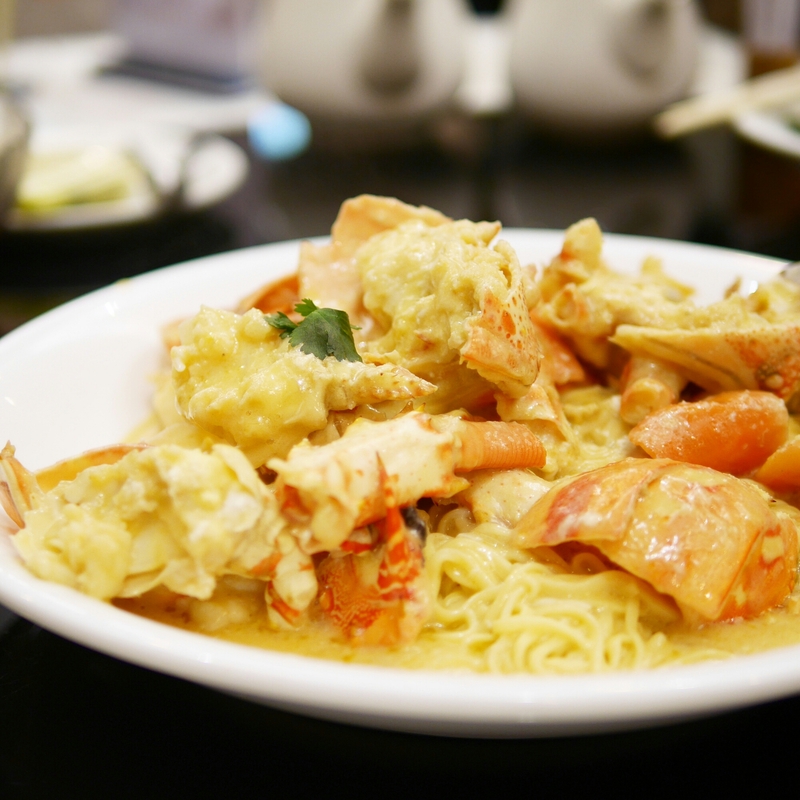 They’ll ask how you want them to cook the rest of the remaining meat on the lobster and I’d highly recommend cheesy lobster noodles (芝士龍蝦伊麵)! At the risk of freaking some people out, the lobster head is still moving when they serve the sashimi. That just goes to prove how fresh the meat is. And the freshness of the meat makes the sashimi absolutely divine. For those who haven’t tried lobster sashimi, the taste is absolutely easy to take in and very refreshing too. This is a very classic and popular dish at Chinese restaurants. Our family loves it and the consensus is that this is the best one we’ve ever had! The noodles are cooked al dente, while the sauce is sufficiently thick, cheesy and creamy. We’re actually surprised how much meat of the lobster is left after we had that whole plate of sashimi! The price tag on seafood meals are never comparable to usual dinners and lobster is one of the more expensive items. In fact, the lobster itself (there’s an additional cooking fee) pictured in this article cost about HK$1800! That’s a lot, but its size was enough to keep five lobster lovers more than satisfied. 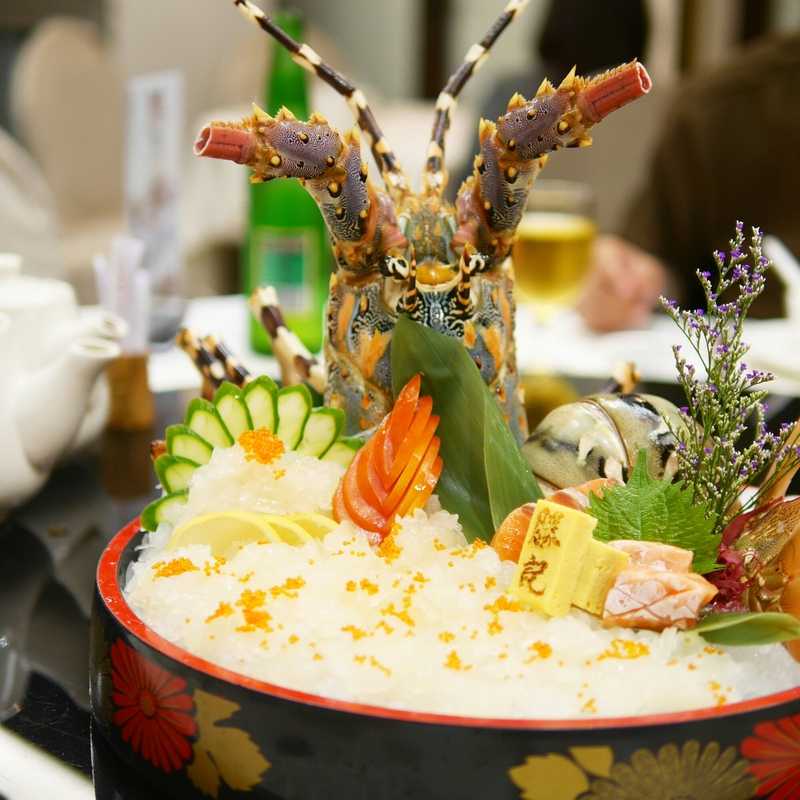 Along with other seafood and non-seafood items, you could expect to pay HK$800 per person. It’s definitely no bargain, but for the seafood quality and taste, it’s a meal worth splurging on! Sing Kee Seafood Restaurant is located at 33-39 Sai Kung Tai Street, Sai Kung. It’s not among the mainstream seafood restaurants by the waterfront/pier, and is a little bit of a walk from the city centre. Reservations are recommended as they get quite busy during weekends.